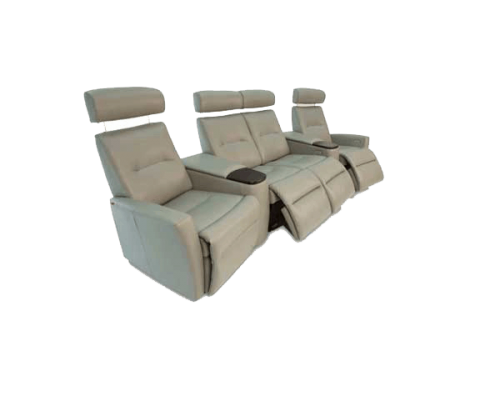 The wall saver design allows the seats to slide forward when reclining, which prevents you from needing a large open space behind the your sofa. 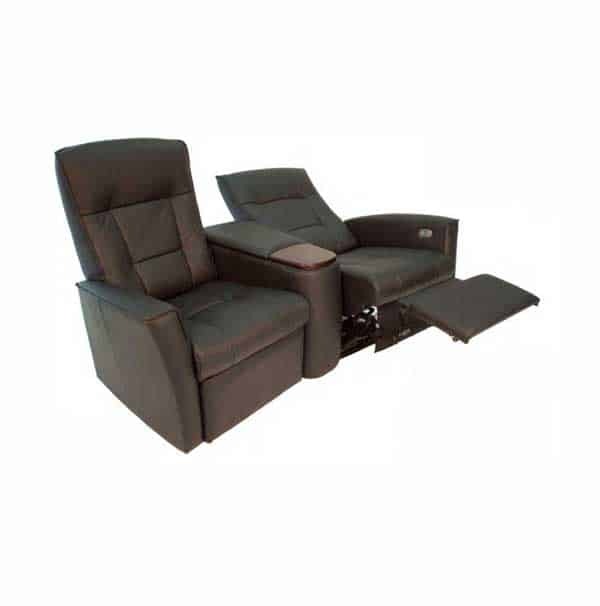 Its adjustable headrest allows you to find the perfect angle for TV viewing and reading. 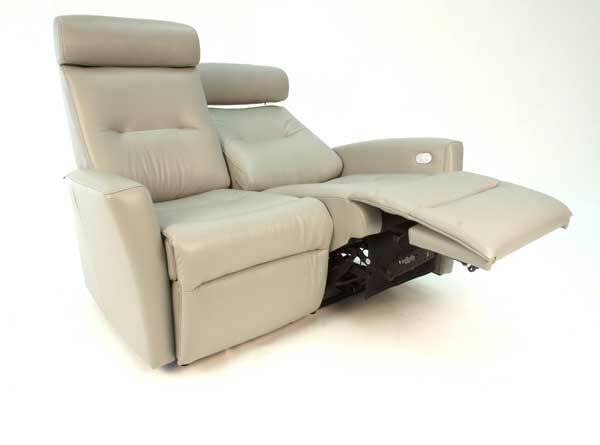 Fjords Madrid Wall Saver Sofa includes built in motorized recliner mechanisms operated through th use of a small touch panel just inside the arm of the furniture. 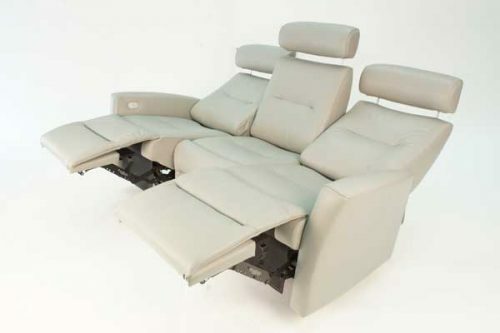 The two button design makes is easy to move the furniture from its upright position to a reclining position and back. 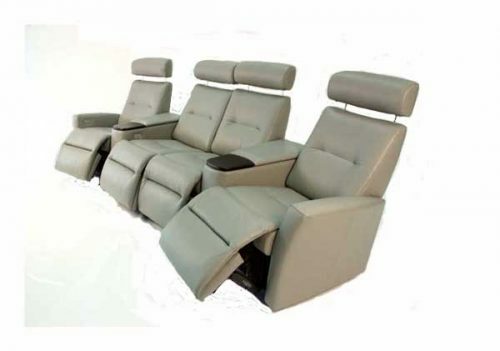 This beautiful, motorized reclining sofa is ergonomically designed with adaptive seating that will improve your life and health. 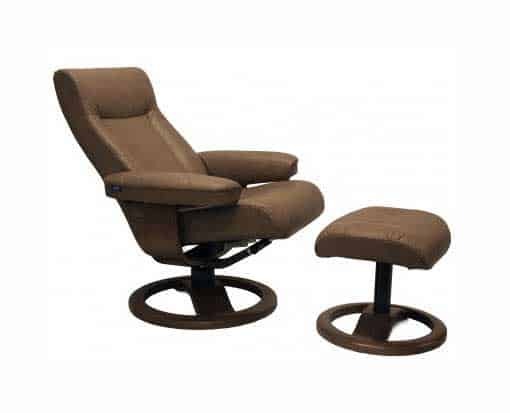 The built in Fjords Active Release SystemTM provides unparralelled back and neck support. 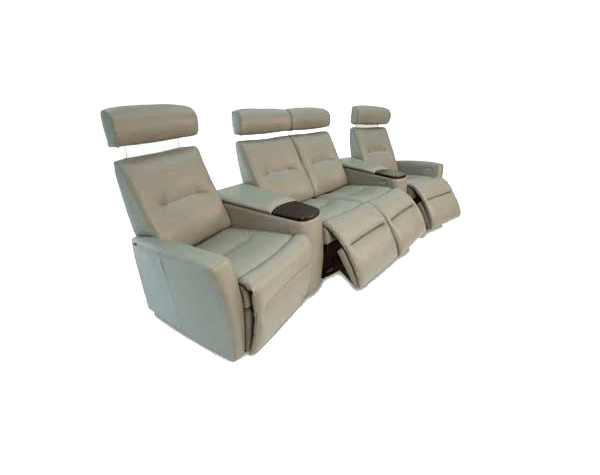 Its unique wall saving design allows you to make the most of your home theater space.